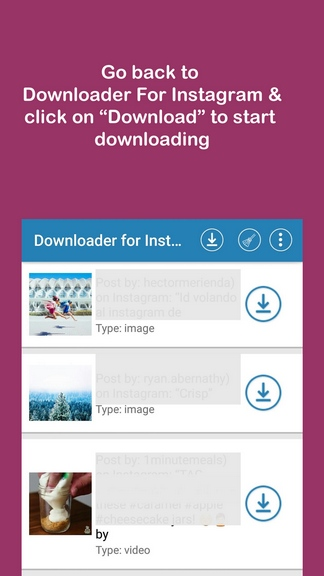 Instagram Photos & Videos Downloader easily can help you to collect images and videos from social network Instagram and stored locally on your Android mobile device. The best thing is you even don't have to login to start using this application. Simply install & launch it and that's it! 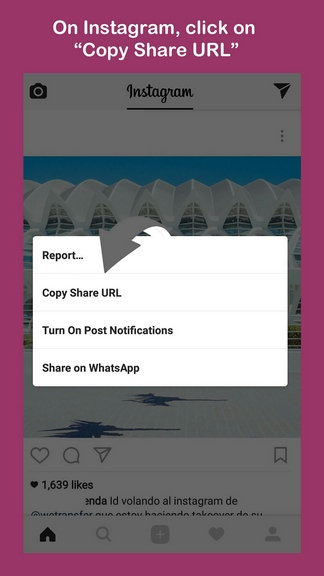 Now you can open your Instagram app, browse through photos & videos and once you want to download them, just tap on "Copy Shared URL" and Instagram Photos & Videos Downloader will start to download photos & videos for you to view or replay back locally.